Here you will find a selection of films, series, books and some other type of materials that I think you and your familes could find interesting. I present them to you and then you can look for them at home and also in bookshops or libreries. 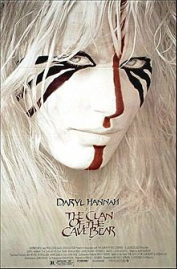 "The Clan of the Cave Bear"
This is a 1986 film based on thebook of the same name by Jean M. Auel. It was directed by Michael Chapman. It is quite entertaining but if you like Prehistory read the first book of the series that I am going to introduce you right below. She is an American writer best known for her Earth´s Children books, a series of novels set in prehistoric Europe that explores interactions of Cro-Magnon people (so Homo Sapiens) with Neanderthals. She has succeeded in her writing since her books have sold more than 45 million copies worldwide. In fact, the only one I would recommend you is the first one, "The Clan of the Cave Bear", the others are minor works and really far from what we understand for Prehistory. It is a 1981 film adaptation from a Belgian novel of 1911 by J.H Rosny.ed by Jean-Jacques Annaud. It is set in Paleolithic Europe, around 80,000 years ago, its plot surrounding the struggle for control of fire by early humans. The film is mute and it has several inaccuracies like to mix Neolithic with the beginning of fire. But it is quite interesting and you always can learn something. "Hello and welcome to the news at when. When? Prehistoric time, when caveman slowly evolved into modern man, very slowly and in many ..."
This is one of those books from the series of Horrible Histories that I have presented you with the Egytians. If you like them go to the bottom below and click to discover the web page with all its information. This is a book that will surprise you because of the way it presents history. Ábsolutly unusual and crazy. Drawings and texts have nothing to do with the traditional ones. Anyway you will learn and you will reinforce what you will study in class. Horrible Histories is a series of illustrated history books published in the United Kingdom by Scholastic. They are designed to engage children in history by presenting the unusual, gory, or unpleasant aspects in a tonque-in-check manner in contrast to the formality of lessons taught in school. The books are written by Terry Deary, Peter Hepplewhite and and Neil Tonge and illustrated by Martin Brown, Mike Phillips, Phillips, Phillip Reeve and Kate Sheppard. It is a 1963 British-American-Swiss epic drama film directed by Joseph L. Mankiewicz. 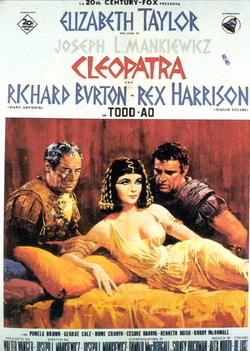 The film starred Elizabeth Taylor, Richard Burton and Rex Harrison. The story is about Cleopatra VII, the Ptolemeic Queen of Egyt and the struggles of her to resist the imperial ambitions of Romans. This one of the most expensive films ever made in all of cinema history. 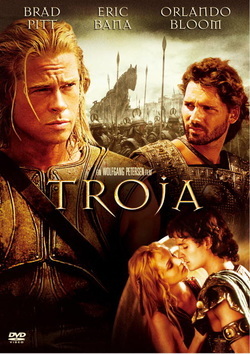 This is an very famous film about the Trojan war. 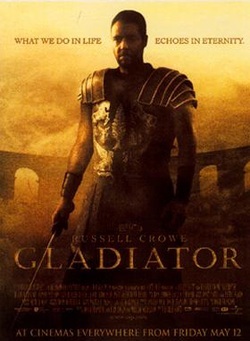 It was directed by Wolfang Petersen in 2004 and it was based, loosely, on Homer´s "Iliad". It had an incredible cast that included Brad Pitt, Eric Bana, Orlando Bloom and Diane Kruger. It is a 2004 epic historical drama film based on the life of Alexander the Great. It was directed by Oliver Stone , with Colin Farrel in the title role. It is not the best film you could expect... but still, it has interesting scenes. This is an American film of 2000 directed by Riddley Scott and with Russel Crowe and Joaquin Phoenix as the main characters. I highly recommend this film to you. I am sure that you are going to enjoy it and you can take an idea of the Roman Empire . Nevertheless, it is a film, not a docummentary. 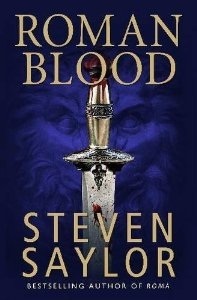 A series of novels by Steven Saylor in which Gordianus the finder, a Roman detective, tries to solve the crimes other people asks him to solve. He becames involved in the main events of the history of Rome with the main characters of the time: Cicero, Caesar, Pompey, the Great One, and others. The series composed by twelve novels and it could be more appropriate for your parents than for you or four you in just a few years. 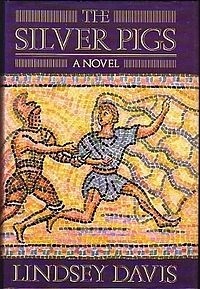 It is one of my favourite novels from the Roman times. She is an English historical novelist, best known as the author of the Falco series of crime stories set in ancient Rome and its empire. This is the first of a series of 20 books in which you and your family will find a good time reading them.